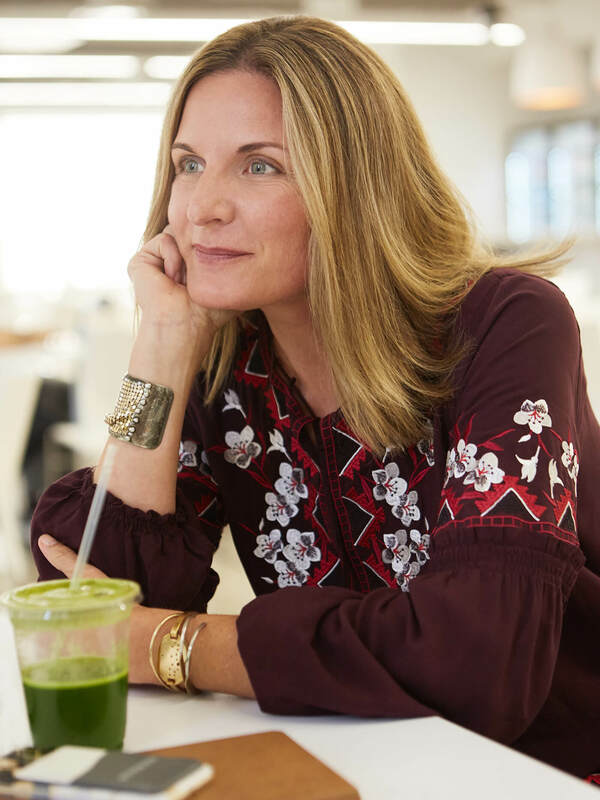 Today we sit down with our Women’s GM, and resident style crush, Lisa Bougie, to see what inspires, drives and wakes her up each morning at, um … 4:30 am. Yes, French press coffee is definitely in her toolbox. Everyone at Stitch Fix loves your style. It’s literally, “we’ll have what Lisa’s having” every day of the week. Tell us what inspires you to do what you do? 4:00-4:30 am: Alarm. Pretty certain my snooze button is broken. French press coffee on the brain. 5:30am: I love an early workout! Also, it really is my only window. 6:30am: Back at home, wake the troops, get ready for work and we try to all have breakfast together. I’m usually bus-bound by 8 am. 9:00am: My days are full of meetings, problem-solving and basically always working on new ways to make sure that when our clients open their Fix, it’s exactly what they’d hoped for. That to me, is a dream day. I leave tired but exhilarated. Productivity is my currency. 6:00pm: Head home where I’m met by my husband, Garin, two boys (Holden, 11 and Tucker, 14) and generally some form of a sports event—usually a basketball or baseball game.. and Brody the dog (age undisclosed). 8:30pm: We’re a big “family dinner family” so our time together gathered around the table is where things get good. Sharing stories about the day’s highs and lows never disappoints. 10:00pm: I’m an early riser so I’m also an early-to-bed girl. Our lights are out by 10—at the latest! Tell us about a typical day for you at Stitch Fix. Is it possible to boil your day down to three words? Curiosity: Every day I wake up curious. We learn so much every day, every week and every month about our clients and how they are responding to the product we style them with. There is nothing better than getting Fix feedback. It’s super addicting actually. 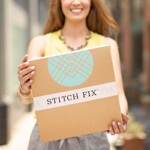 Possibility: At Stitch Fix, we’ve barely scratched the surface and ultimately, that’s just so exciting. We are only six years in and I can’t imagine what the next six will hold – yet I totally can. That’s where the “possibilities are endless” thing comes in. Energy: I am motivated every day by the energy of this company and people around me. Ask my husband…I actually love to get up and go every morning. And my french press coffee certainly doesn’t hurt. Dress for the moment … every moment. We want all your bling! 1. A sunny beach is my ideal place to recharge. 2. I’m a french press, green juice, hot sauce, tequila kind of girl. It’s all about mixing it up. 3. Exercise is my jam and it’s vital to me feeling my best. Even if it has to happen before the sun wakes up. Milan, Santa Barbara and the San Francisco Bay Area. 5. My family is my everything. They make me laugh and make all the hard work feel worthwhile. 6. I really love my job. Lisa Bougie has been with Stitch Fix for nearly 4 years and is our General Manager, Stitch Fix Women. She leads our Buying, Planning and Sourcing teams and is ultimately responsible for product excellence. She is passionate about keeping our clients at the heart of every product decision and believes that we are only as good as the way that we make our clients feel.